Way back in 2006, when I was but a youngling not halfway through high school, I went to see Taxiride in concert at Palace Grounds in my hometown, Bangalore. Courtesy Vh1 endlessly plugging the band that summer, I’d become a semi-fan of the largely mediocre Aussie band. But this anecdote is not about Taxiride. No. This is about the band that opened for Taxiride: a local band called Lounge Piranha who, with their stage show, raw talent, and indomitable confidence, blew my mind within two minutes of the first song I heard from them (‘Gun Song’). Thus followed years of solid fangirling. But those days are gone. After their first (and only) album, followed by a short tour, Lounge Piranha was mostly defunct. So last month, when I heard that Kamal Singh, guitarist and vocalist of Lounge Piranha, was releasing a solo album, it’s safe to say that my expectations were rather high. On album opener ‘Bajrang Bali’, it only takes thirty seconds to be trapped in Kamal’s layered soundscapes, where the fuzz is so thick that you can almost hear it crunch. Throw in his deliberately distant vocals and the pulsating drums, and you’ve got yourself a Pavement tribute party. There really are no weak tracks on Resurrection. Queens of the Stone Age-esque sludge and Kamal’s chant-like vocals (“It’s only dynamite, so concentrate”) intrigue and draw you in on ‘Glass Jaw’. You can just about see the shape of a beautiful melody on ‘Namaste’, as if that wall of sound were a diaphanous curtain instead. ‘Bonda’ is the sort of frenetic activity that is rarely seen this side of Fugazi: for the first minute-and-a-half of the song, the guy’s just yelling out days of the week (“Monday! Tuesday! Wed-nes-day!”), but damned if you don’t want to join in. And if you’re wondering just what the hell “disco punk” really means, then you must listen to the excellently-named ‘Cyborg Supernova Lipgloss’. ‘Danny’, a slow-burning gem of feedback and fuzz, could be from the new Yuck album: it’s as skillfully entrenched in ’90s nostalgia as the N.Y.C. band, bringing to mind Sonic Youth as much as Neutral Milk Hotel. My favourite song on the album is the gorgeous ‘Super Glue’, where the biggest discernible influence seems to be none other than Lounge Piranha. It’s a beautiful, poignant song that breathes with a life of its own: the kind of song that you’re all too happy to get lost in. 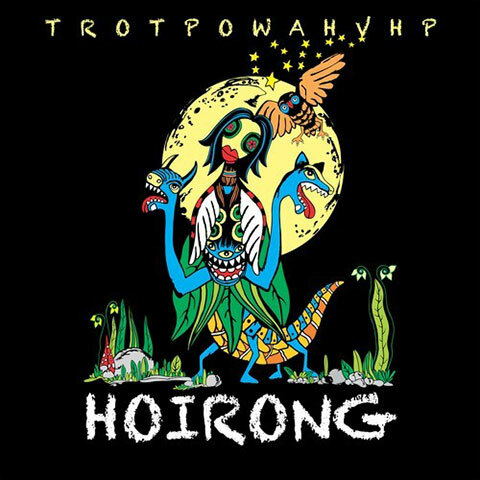 ‘Super Glue’ reminds me of why I was so besotted with Lounge Piranha all those years ago, and why Hoirong is a very good thing too. Kamal Singh as Hoirong has released a brilliant, thoughtful debut that is as evocative of Seattle in the ’90s as Bangalore in the mid-’00s, and you’d be crazy to not give it a listen. Click here to listen to The Resurrection Of the Princess Of Woe And Her Vampire Hound Posse. By Tasha Tyagi · Varun Agarwal's debut novel is not one that will appease critical eyes. Its charm lies in its sheer simplicity and the author's easy, engaging style. 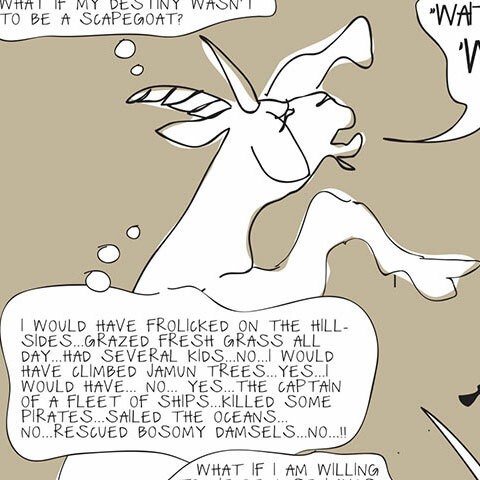 By Srinidhi Raghavan · Malik Sajad’s heartwrenching graphic novel traces the generations that grew up in Kashmir post 1990.